Mr Michael Wong has more than 20 years of experience in the commercial and industrial doors industry. He is responsible for the Group’s overall management, formulating the Group’s strategic directions and expansion plans, developing and maintaining relationships with customers and suppliers and overseeing the Group’s general operations. Mr Wong established Gliderol Doors (S) Pte. Ltd. in 1982 and as its Managing Director, he has been instrumental in the expansion of the Group and continually sources for investment opportunities to promote the growth of the Group’s business. Mr Wong attended the Building Technician Diploma course in Singapore Polytechnic from 1972 to 1973. Mr Wu Chiaw Ching has been the proprietor of Wu Chiaw Ching & Company since 1987. He is a fellow member of the Institute of Singapore Chartered Accountants, the Association of Chartered Certified Accountants, United Kingdom and Certified Public Accountants, Australia and a member of the Singapore Institute of Directors. Mr Wu obtained a Bachelor of Commerce (Accountancy) from Nanyang University, Singapore and a Post-graduate Diploma in Business and Administration from Massey University, New Zealand. He also obtained a Diploma in Management Consultancy from the National Productivity Board, Singapore and a Master of Arts (Finance and Accounting) from Leeds Metropolitan University, United Kingdom. Mr Goh Boon Kok runs his own practice, GBK Company, which he established in 2017. He was the founder of Goh Boon Kok & Co established in 1977 and retired in December 2016. Mr Goh is a member of the Institute of Singapore Chartered Accountants, the Chartered Institute of Management Accountants, United Kingdom and the Chartered Institute of Secretaries and Administrators, United Kingdom. Mr Goh accumulated more than 30 years of experience in both auditing and accounting through holding various positions with companies and government agencies. Mr Goh obtained a Bachelor of Accountancy from the University of Singapore. Ms Pebble Sia Huei-Chieh is the founder director of Esquire Law Corporation. She commenced her legal practice in David Lim & Partners in 1997 and thereafter practiced at John Koh & Co which was renamed J Koh & Co. She was admitted as a Barrister-at-law (Middle Temple) of England in 1996 and as an Advocate and Solicitor of the Supreme Court of Singapore in 1997. Ms Sia obtained a Bachelor of Laws with Honours, Second Upper Division from King’s College London in 1995. Ms Gina Lee is responsible for the Group’s corporate affairs, human resource and administrative matters. Ms Lee first joined Gliderol Doors (S) Pte. Ltd. in August 1991 as a confidential secretary and has been with the Group since. In the course of her career with the Group, she has held other positions including Management Executive and Manager (Human Resource and Administration). Ms Lee obtained a Diploma in Business Efficiency & Productivity (Personnel Management) from the Institute for Productivity Training of the National Productivity Board of Singapore in 1994. Ms Karen Lim is responsible for overseeing the Group’s operations which include production and overall projects management. Ms Lim joined Gliderol Doors (S) Pte. Ltd. as an Operations Executive in April 1990. In January 1994, she left the Group and pursued a career in real estate in Data Property Consultant Pte Ltd in October 1994 and thereafter, Salease Realty Network Pte Ltd in October 1996. She re-joined Gliderol Doors (S) Pte. Ltd. as Manager (Operations) in 2000 and has been with the Group since. Ms Lim graduated with a Diploma in Architectural Technology from Singapore Polytechnic in 1986. Ms Lim Lay Khim is responsible for the Group’s financial accounting and business reporting. She also provides oversight of the Group’s treasury functions and compliance with regulatory bodies as well as the day-to-day functioning of the finance and accounting operations, internal controls, taxation and financial reporting matters. Ms Lim joined the Group in May 2016. Prior to joining the Group, Ms Lim was the Financial Controller of Albedo Limited from May 2015 to November 2015 and was the Finance Manager of Wilmar International Limited from May 2005 to April 2015. 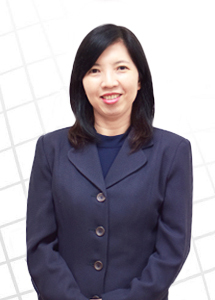 Ms Lim obtained a Bachelor of Business (Accounting) from the Curtin University of Technology in 1993. She is a member of the Institute of Singapore Chartered Accountants. Mr Leow Chyan is responsible for the design, development and systems integration of products from conception to implementation. He identifies system deficiencies in the technical aspects of the products’ operation and implements solutions and revisions to them. He also manages complex projects (local and overseas) and serves as the liaison between overseas principals and project managers. In addition, he also ensures that products manufactured by the Group comply with the relevant regulatory codes in various jurisdictions. Mr Leow joined Gliderol Doors (S) Pte. Ltd. as a Marketing Executive in May 1997 and has been with the Group since. He began his career as a Police Officer with the Singapore Police Force in 1990. From 1996 to 1997, he was a Sales Executive in Azen Manufacturing Pte Ltd.
Mr Leow graduated from Sumbershire Business School in 1996 with an Advanced Certificate in Marketing.